We are proud to announce that Carmel Row Community Association has selected Tinnelly Law Group as their associations’ legal counsel. 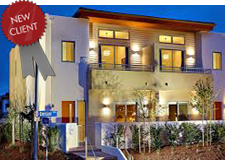 Carmel Row, by ColRich, is a brand new townhome community located in San Diego. Adjacent to future retail spaces and just minutes from parks, local beaches, freeways and numerous business centers, Carmel Row is a convenient and luxurious option for area homebuyers interested in high-end living without the up-keep of detached homes. Our HOA attorneys and staff look forward to working with Carmel Row’s Board and management.